We’re quickly approaching the most festive time of the year. That means that many of us – around 50 million, according to AAA – will be hopping in the car to celebrate with family and friends. 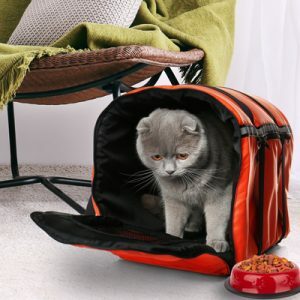 While lots of people take their canine companions over the hill and through the woods, the thought of traveling with your fave feline friend might seem a tad intimidating. But with some preparation before and during your trip, your cat can happily “pawticipate” in the joys of the season. To ensure the safety of you and your kitty, don’t even think of letting her roam free in the car. 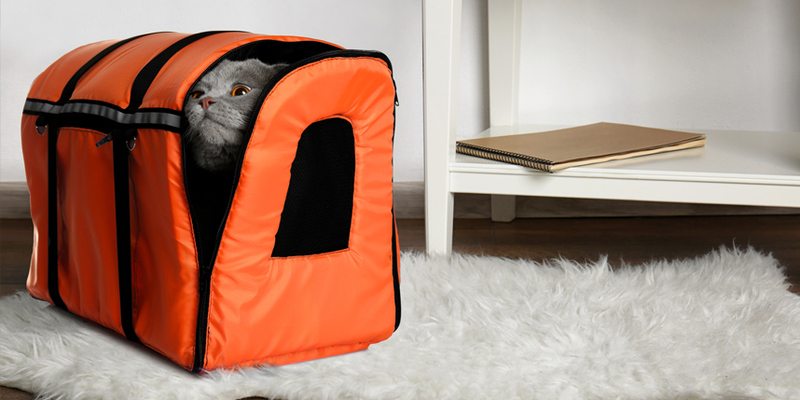 Instead, opt for a secure and comfy pet carrier that’s big enough for her to easily turn around in. 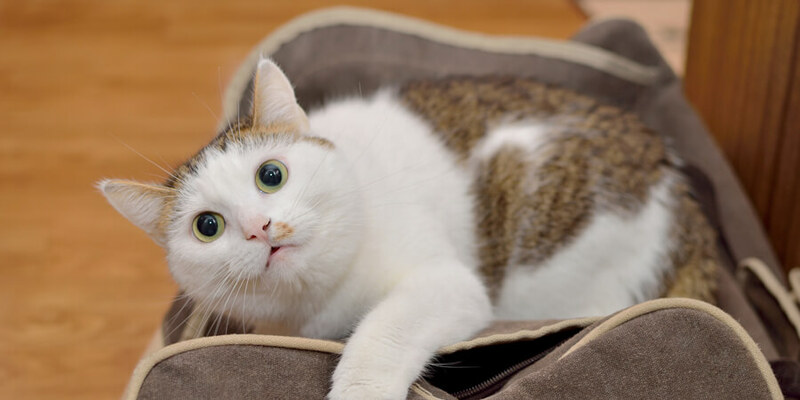 Leave the carrier in your cat’s favorite room for a couple of weeks ahead of time and associate it with good things by giving her meals and treats in it, and by offering lots of praise when she’s inside. 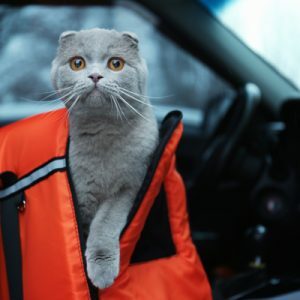 Take some “test drives” with kitty to get her accustomed to the vehicle, starting out with short jaunts around the block and gradually increasing time and distance. 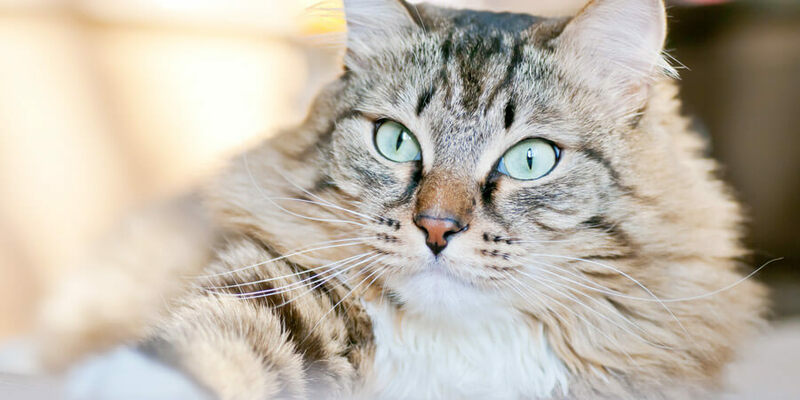 Consider talking with your vet about possible calming solutions—natural or pharmaceutical, depending on your cat. Also, be sure to get her most up-to-date medical and immunization records, as well as any prescriptions. Look up the name and location of a veterinarian near your destination in case your cat needs medical attention during your stay. Provide her with familiar bedding and toys, and don’t forget to bring along the food she’s accustomed to. Be sure to give your cat some private “rest stop” time out of the carrier in your vehicle so that she can use the litter box. (That way, you can clean it before you hit the road again.) And always keep some form of ID on your cat just in case she accidentally slips away! As much as possible, try to keep feeding, cuddles, playtime and bedtime close to the same routine she has at home. If staying overnight in a hotel, call ahead to double-check their pet policy. In the room, let her out of the carrier, show her where her litter box is, and make sure to give her plenty of love and reassurance. If you’re a guest in someone’s home, try to secure a private room for you and kitty so she has her own space to relax while reducing the chance of escape in an unfamiliar area. Put out all of “her” things (bedding, toys, litter box, etc.) so it feels more like home. If your host has pets, it’s probably best to keep them separated during your stay. If your stay will be lengthy, you may be able to introduce your cat to the host pets slowly – but never force it. 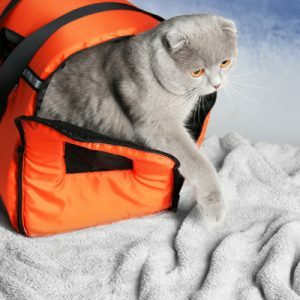 Remember, preparation is key to making a road trip easy and stress-free for you and your cat. 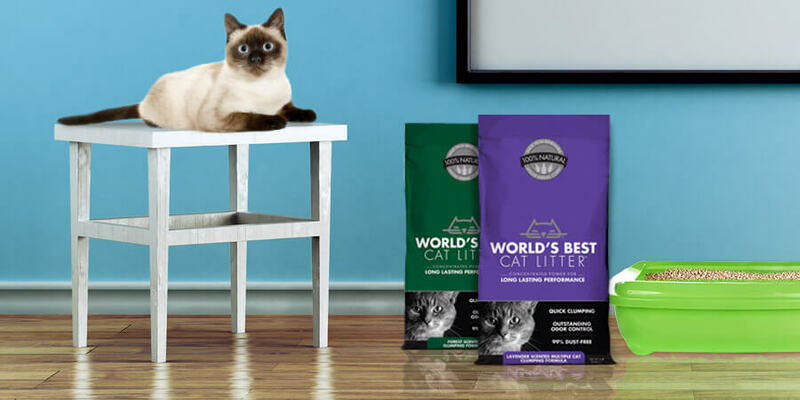 You may even be surprised to discover that your kitty is the purr-fect traveling companion!